There were several events across the Las Vegas valley today aimed at honoring the victims and helping people heal. 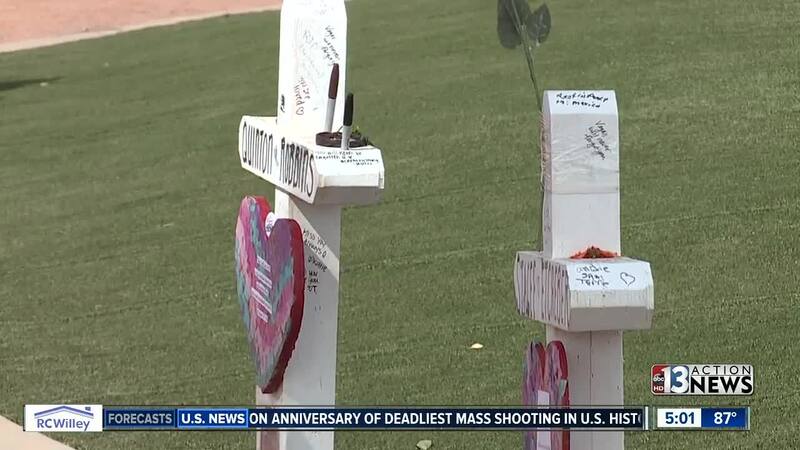 "I just wanted to come back and visit the memorial and get some closure to just help heal myself," Laurie Fenner said. Fenner visited Las Vegas for the first time since the shooting Monday. Alongside her were two women who dawned the same outfits they were wearing the night they escaped the shooting. "This is my survivor outfit. I know I survived and it means something to me, I feel strong in it," she said. But people heal in many different ways. Over at city hall faith leaders held a ceremony along with a worship service. 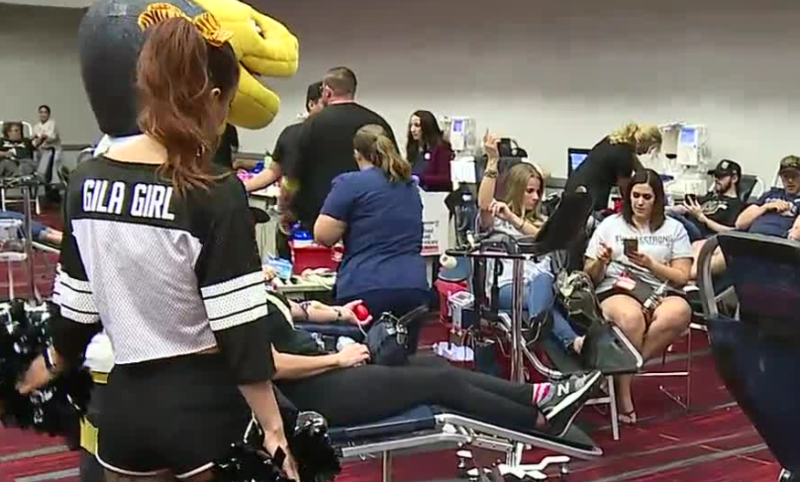 University Medical Center als hosted a blood drive Monday in honor of the 1 October shooting anniversary. It went until 7 p.m. at the Las Vegas Convention and Visitors Authority on Paradise Road. Vegas Golden Knights mascot Chance was among those in attendance.